For my new book series which is about faun cosplays, we made a photo series of my three favorite faun cosplays. As always we worked together with the amazing eosAndy. In this blog I just wanted to show you some behind the scenes photos. 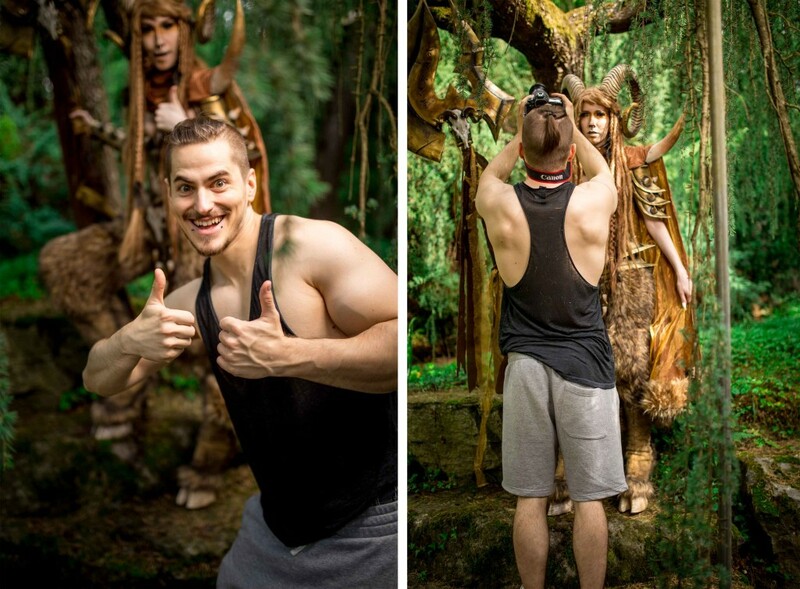 The new book series will teach you everything about how to create your own Faun cosplay. Ths first book is about the hooves and the legs, which are the most challenging part I think. During the photoshoot I wore 3 different type of hoove shoes and all of them has their pros and cons. Walking with hovve shoes on uneven terrain is very difficult and you need some practise Esspecially when the photographer wants you to climb on rocks. Luckily Ralf is always by my side to assist me. Ralf always takes care of my boobies! Check out the results of the photoshoot here!